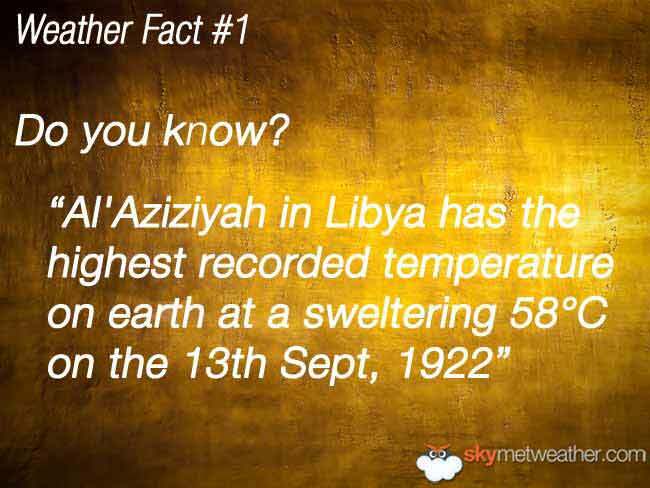 Al`Aziziyah in Libya has the highest recorded temperature on earth at a sweltering 58°C on the 13th Sept, 1922. 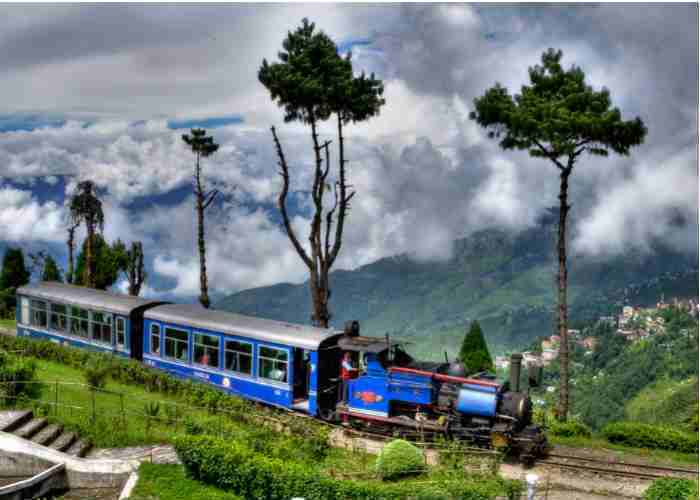 Mawsynram in India is noted as being the wettest place on earth is with over 11 meters of rain falling every year. 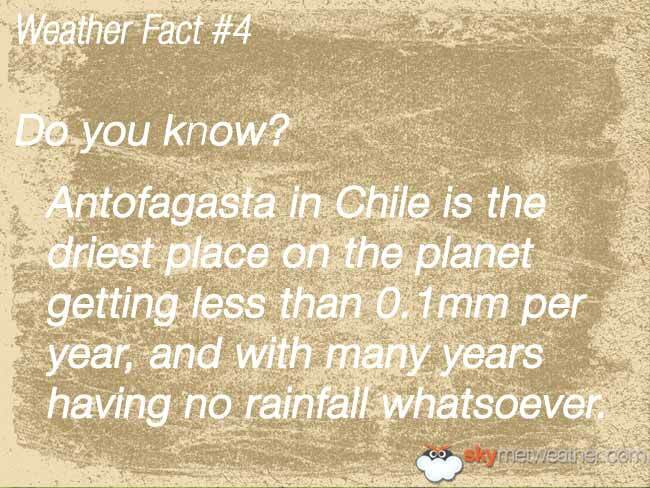 In contrast, Antofagasta in Chile is the driest place on the planet getting less than 0.1mm per year, and with many years having no rainfall whatsoever. 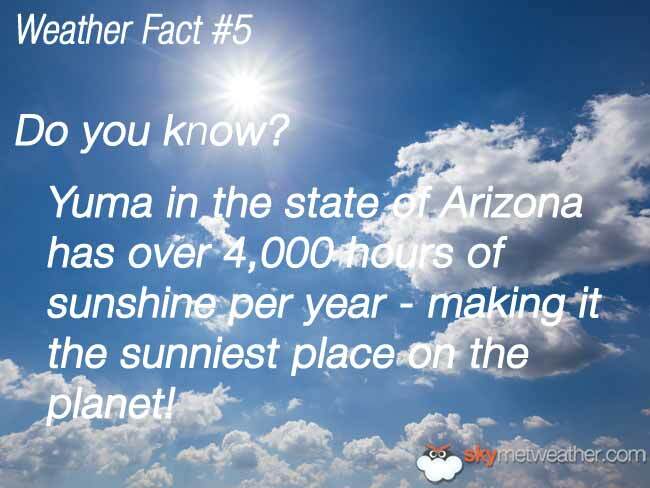 Yuma in the state of Arizona has over 4,000 hours of sunshine per year - making it the sunniest place on the planet! 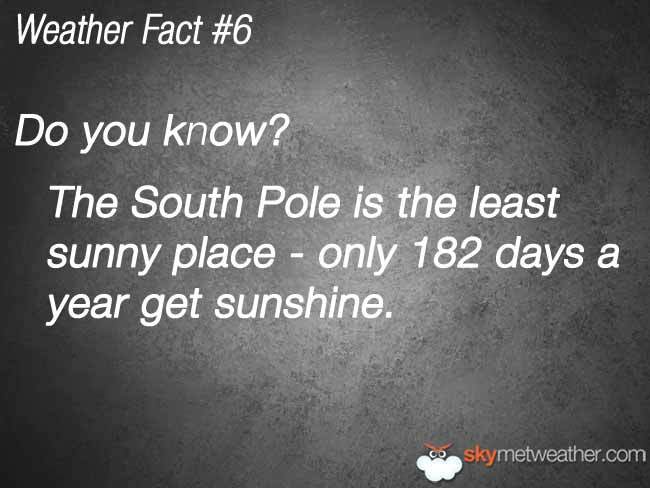 The South Pole is the least sunny place - only 182 days a year get sunshine. 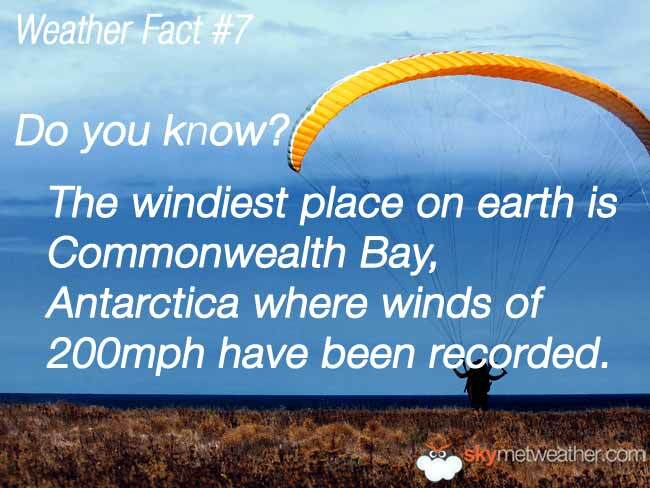 The windiest place on earth is Commonwealth Bay, Antarctica where winds of 200 mph have been recorded. 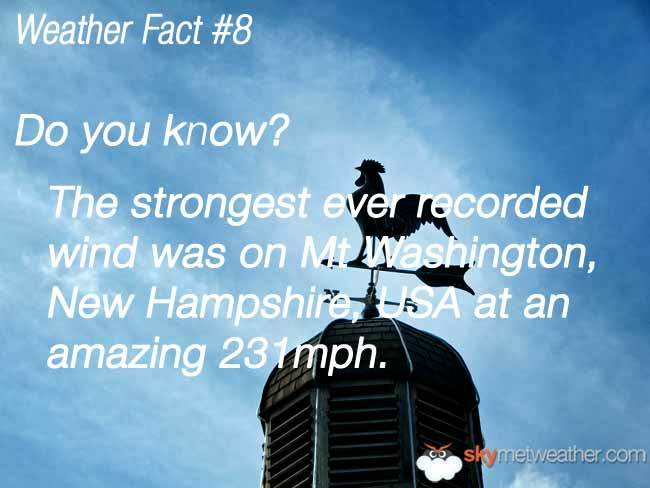 The strongest ever recorded wind was on Mt Washington, New Hampshire, USA at an amazing 231 mph. 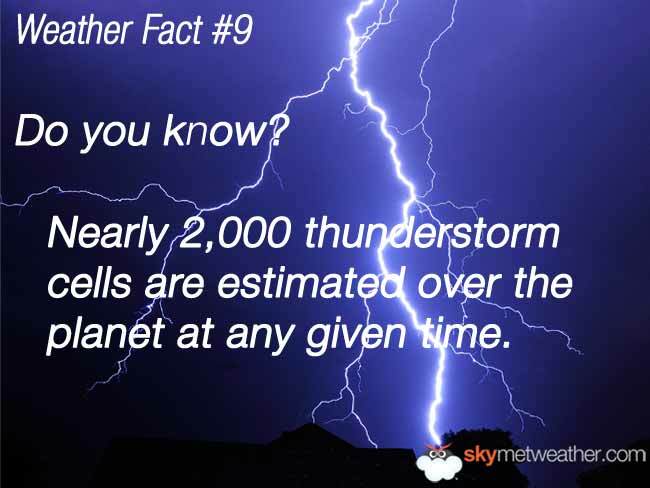 Nearly 2,000 thunderstorm cells are estimated over the planet at any given time. 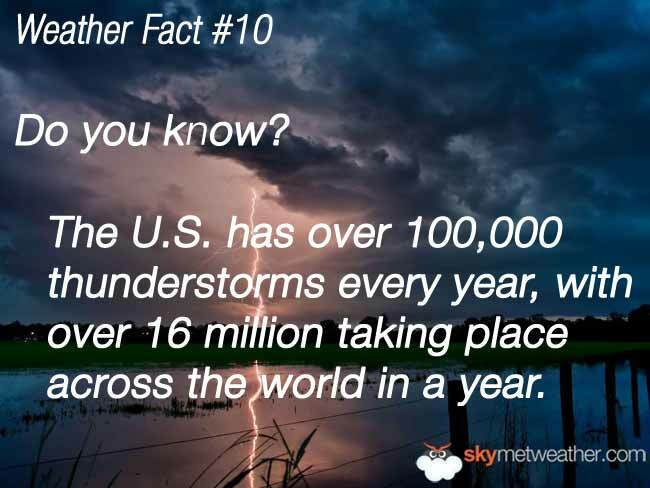 The U.S. has over 100,000 thunderstorms every year, with over 16 million taking place across the world in a year. 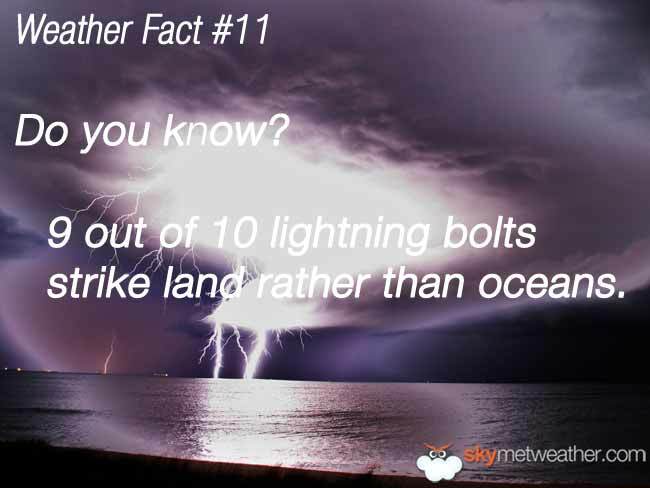 9 out of 10 lightning bolts strike land rather than oceans. 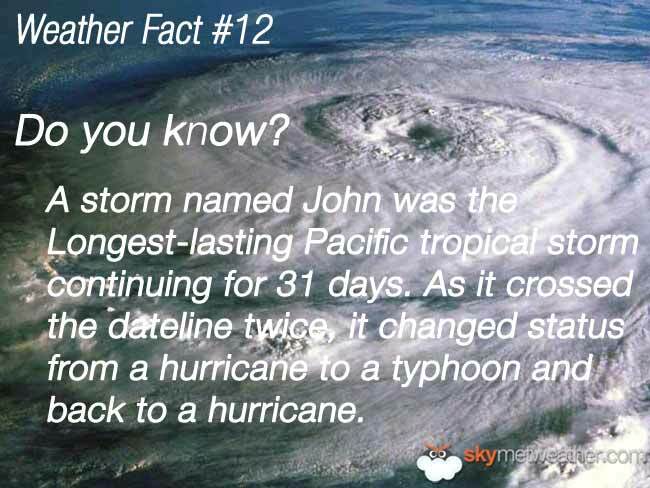 A storm named John was the Longest-lasting Pacific tropical storm continuing for 31 days. 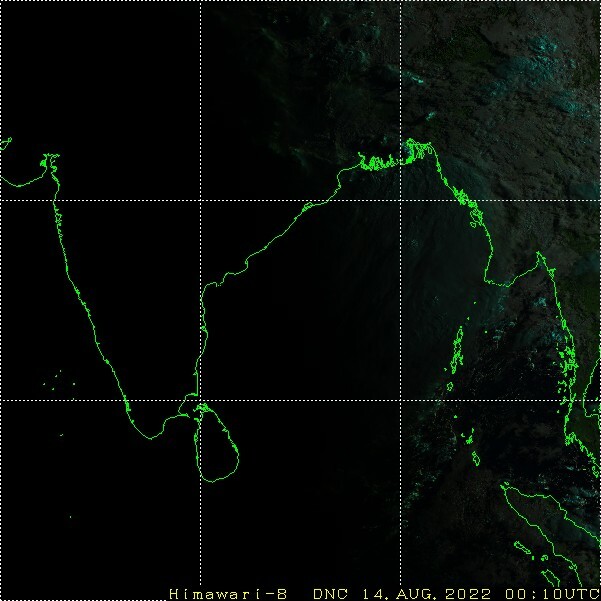 As it crossed the dateline twice, it changed status from a hurricane to a typhoon and back to a hurricane. 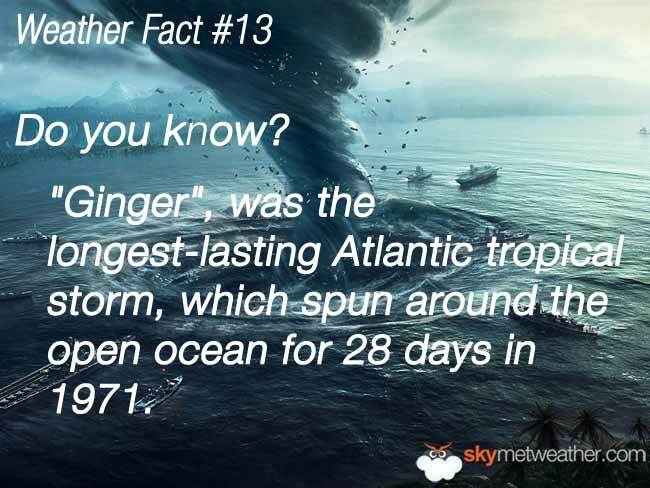 Ginger, was the longest-lasting Atlantic tropical storm, which spun around the open ocean for 28 days in 1971. 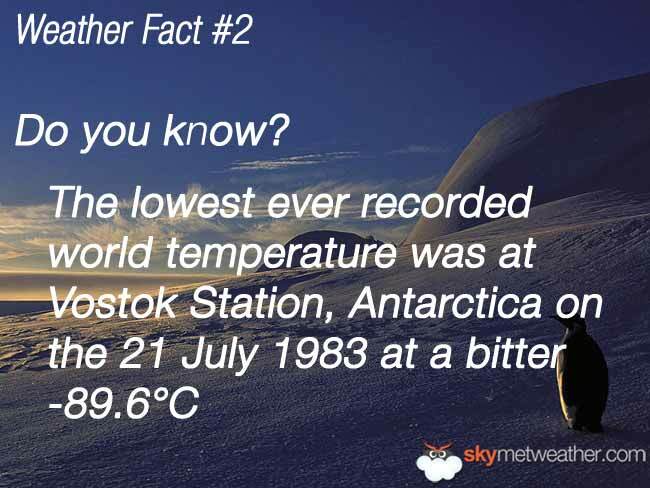 The world`s largest snowflake was recorded in the Guinness Book of Records, at 38 cm wide and 20 cm thick. 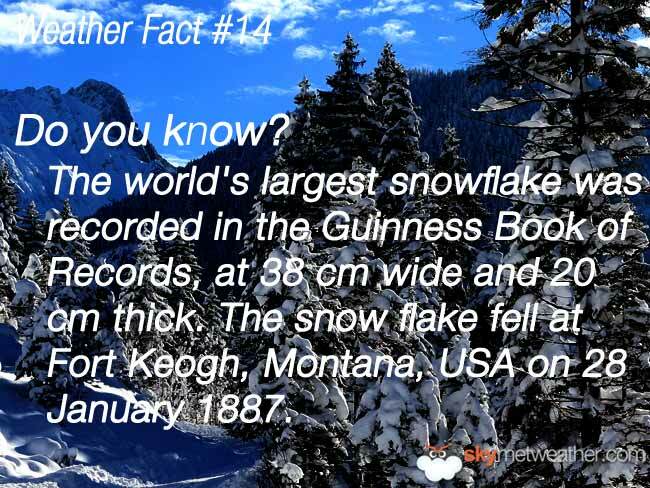 The snow flake fell at Fort Keogh, Montana, USA on 28 January 1887. 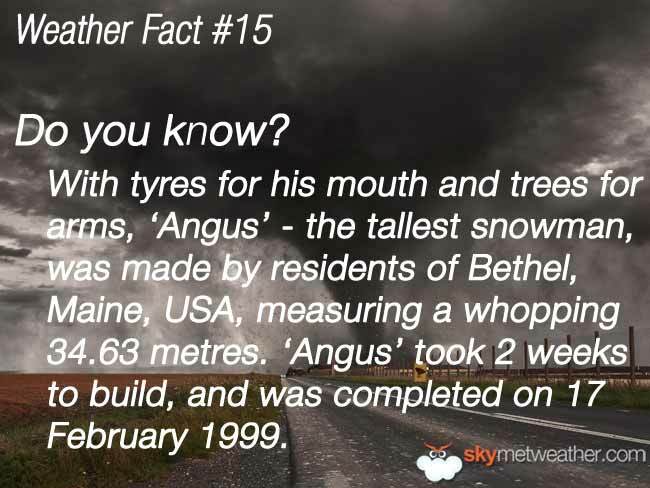 With tyres for his mouth and trees for arms, `Angus` - the tallest snowman, was made by residents of Bethel, Maine, USA, measuring a whopping 34.63 metres. 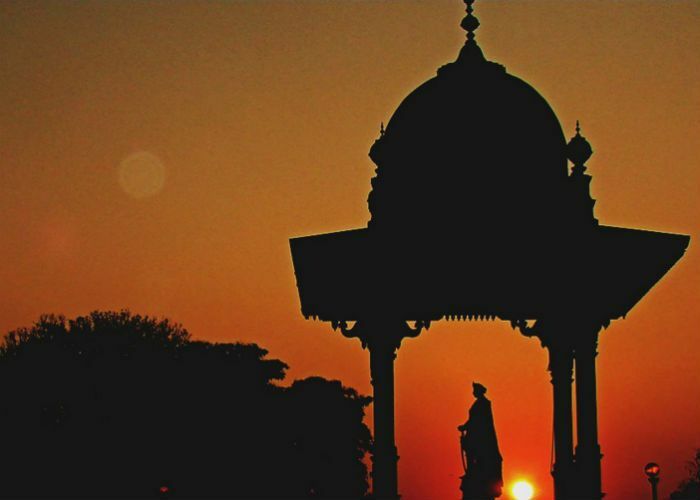 `Angusâ`took 2 weeks to build, and was completed on 17 February 1999. 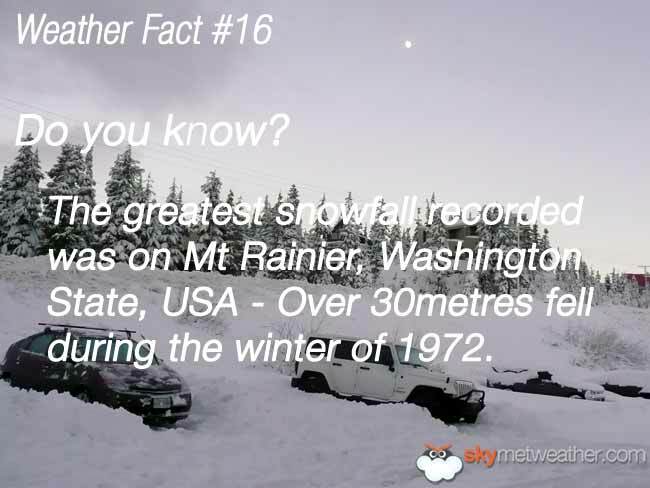 The greatest snowfall recorded was on Mt Rainier, Washington State, USA - Over 30 meters fell during the winter of 1972. 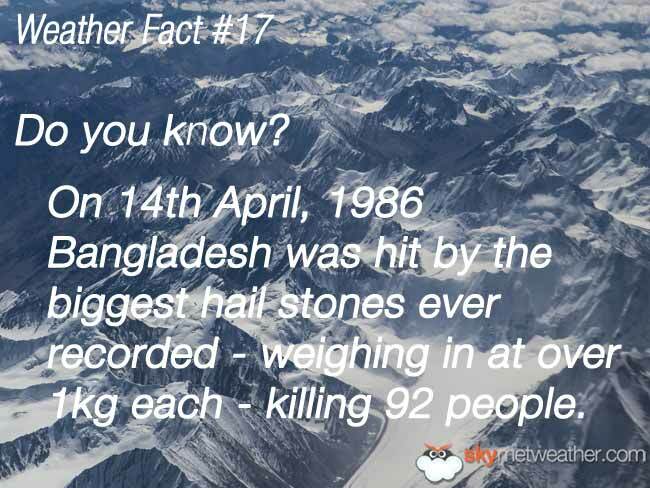 On 14th April, 1986 Bangladesh was hit by the biggest hail stones ever recorded - weighing in at over 1 kg each - killing 92 people. 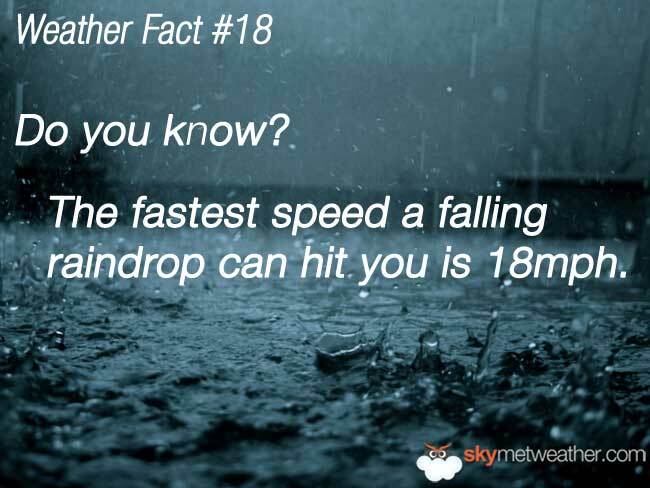 The fastest speed a falling raindrop can hit you is 18mph. 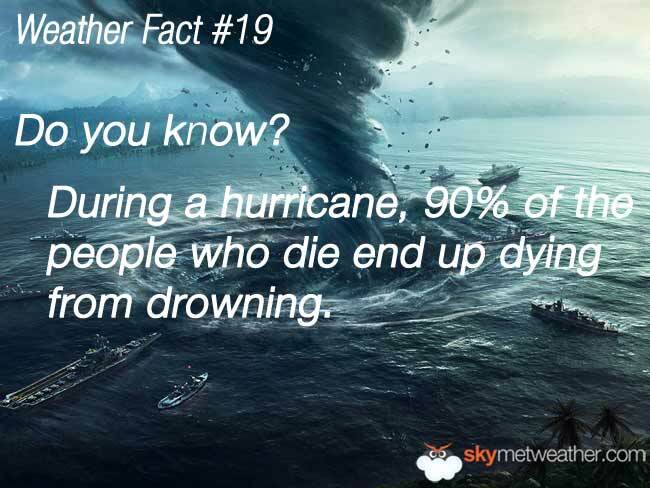 During a hurricane, 90% of the people who die end up dying from drowning. 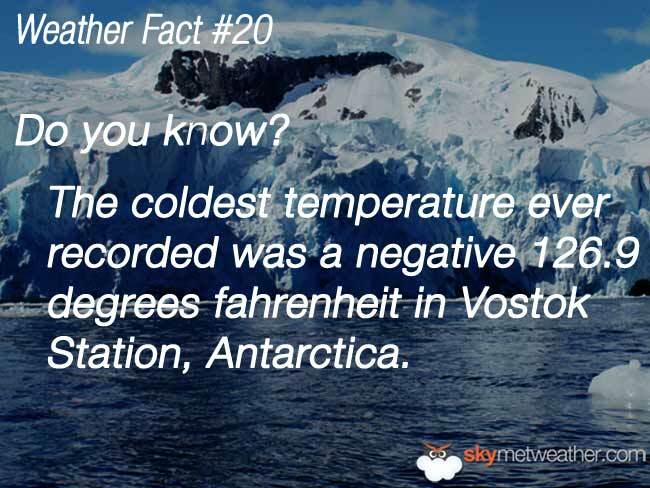 The coldest temperature ever recorded was a negative 126.9 degrees fahrenheit in Vostok Station, Antarctica. 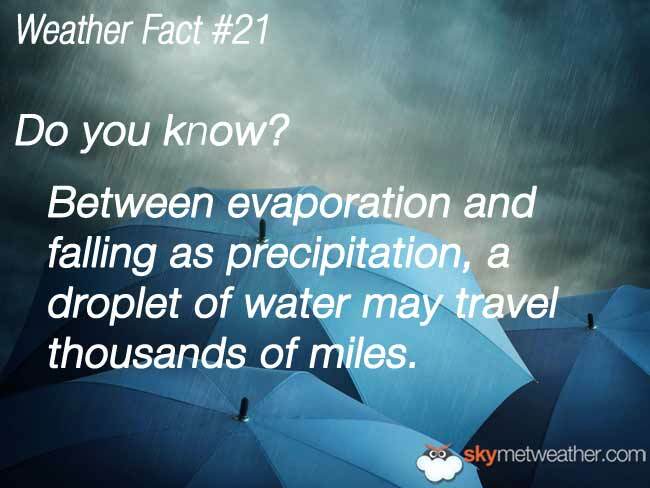 Between evaporation and falling as precipitation, a droplet of water may travel thousands of miles. 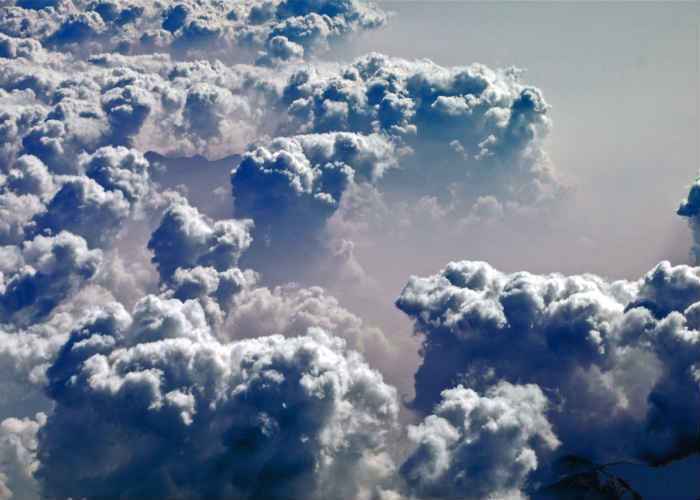 The typical lifetime of a small cumulus cloud is between 10 to 15 minutes. 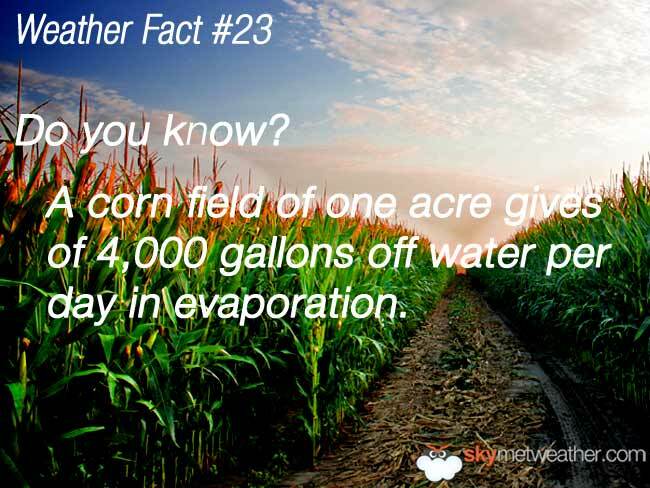 A corn field of one acre gives of 4,000 gallons off water per day in evaporation. 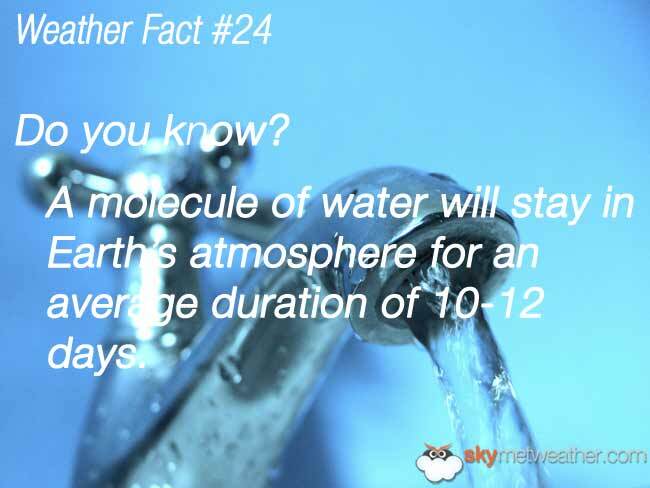 A molecule of water will stay in Earth`s atmosphere for an average duration of 10-12 days. 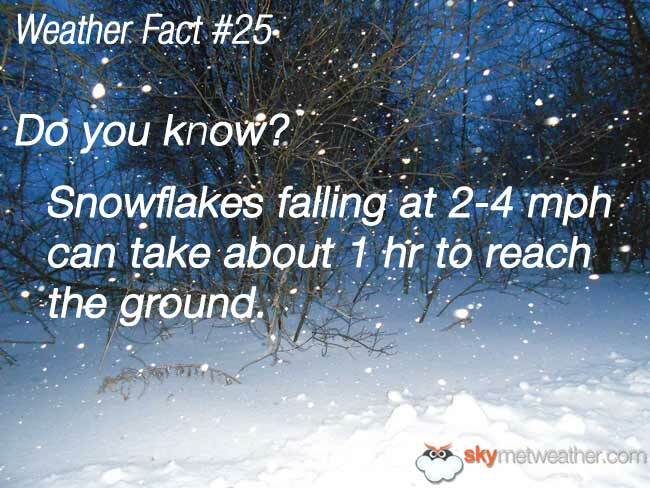 Snowflakes falling at 2-4 mph can take about 1 hr to reach the ground. 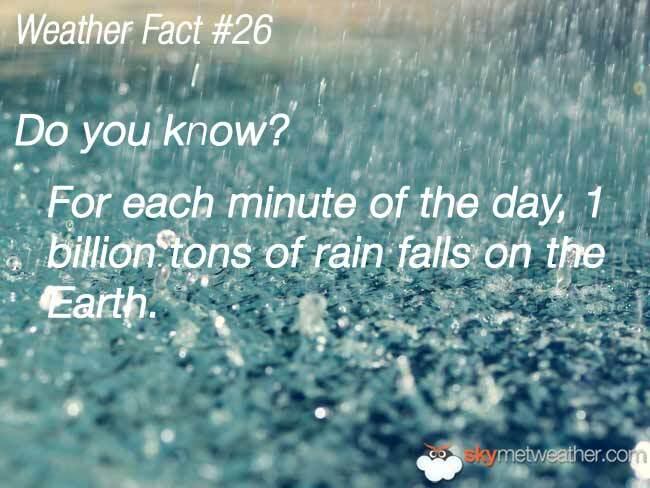 For each minute of the day, 1 billion tons of rain falls on the Earth. 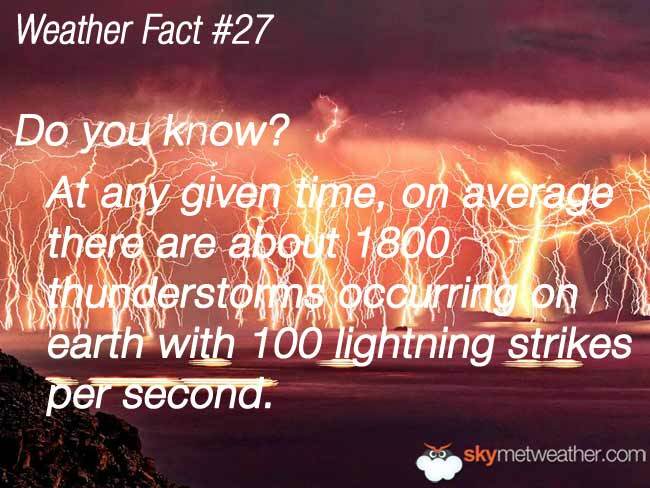 At any given time, on average there are about 1800 thunderstorms occurring on earth with 100 lightning strikes per second. 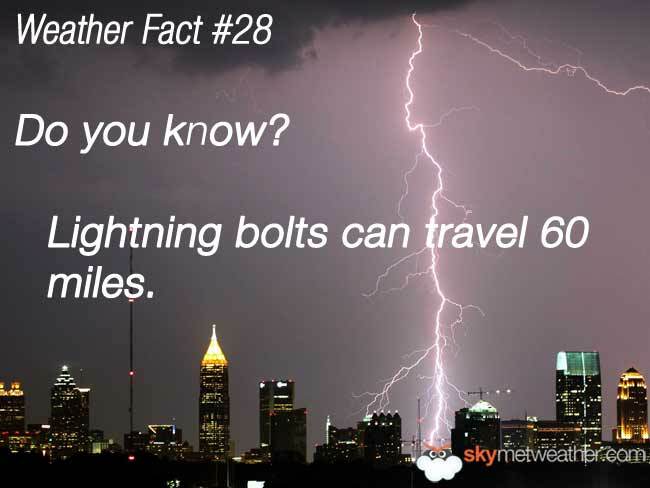 Lightning bolts can travel 60 miles. 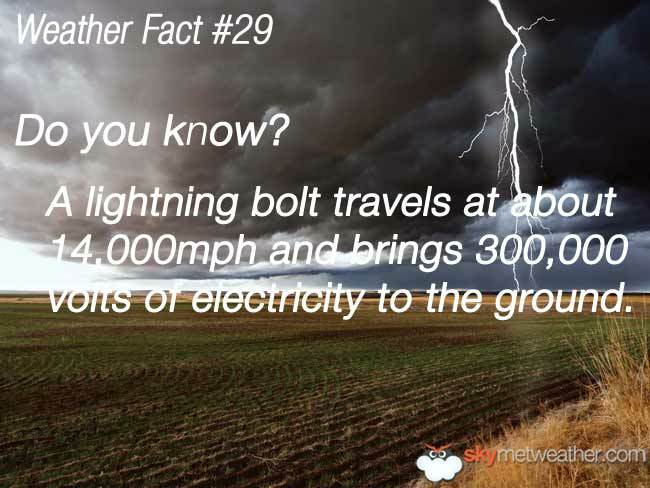 A lightning bolt travels at about 14,000mph and brings 300,000 volts of electricity to the ground. 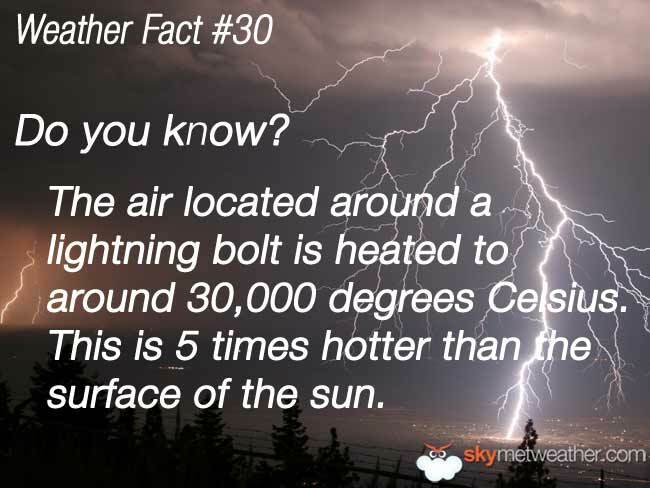 The air located around a lightning bolt is heated to around 30,000 degrees Celsius. 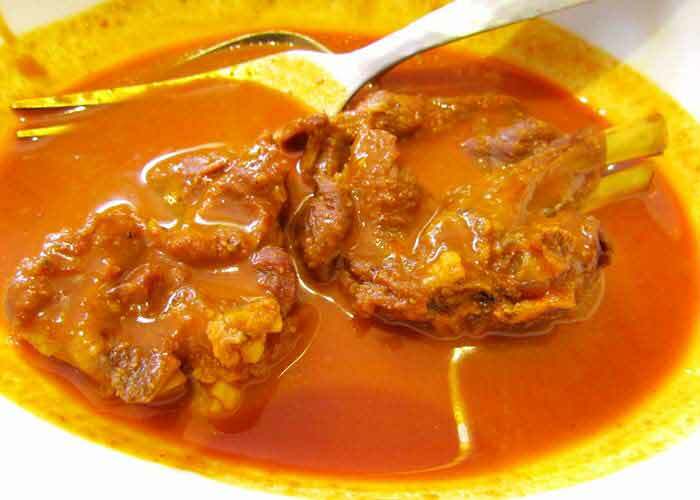 This is 5 times hotter than the surface of the sun. 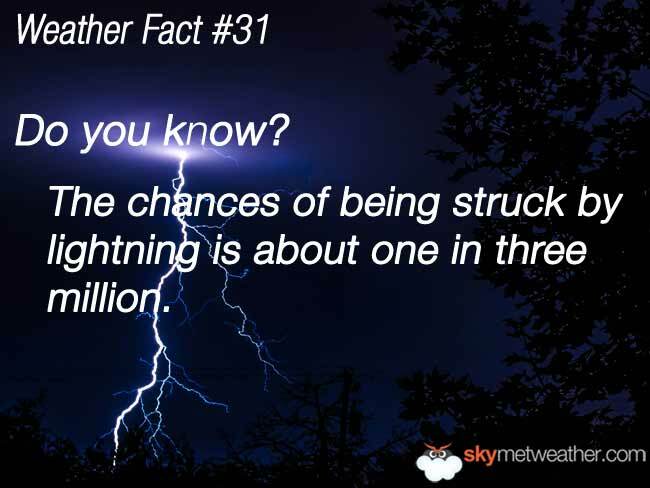 The chances of being struck by lightning is about one in three million. 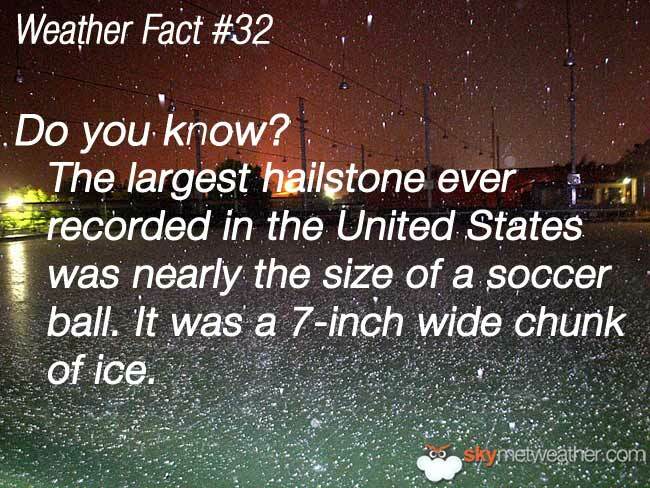 The largest hailstone ever recorded in the United States was nearly the size of a soccer ball. 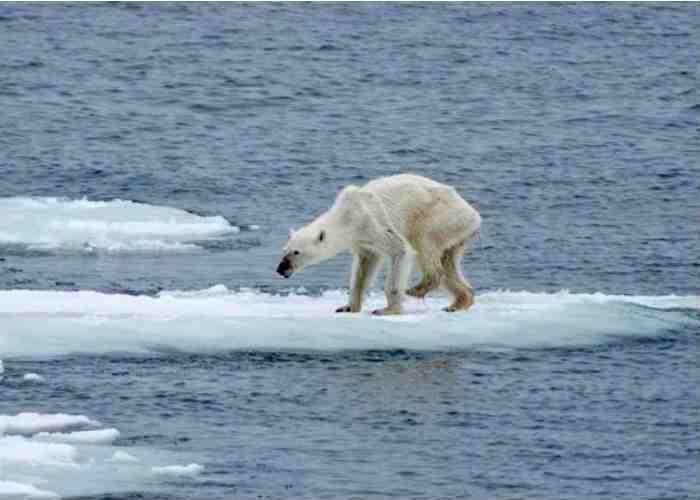 It was a 7-inch wide chunk of ice. 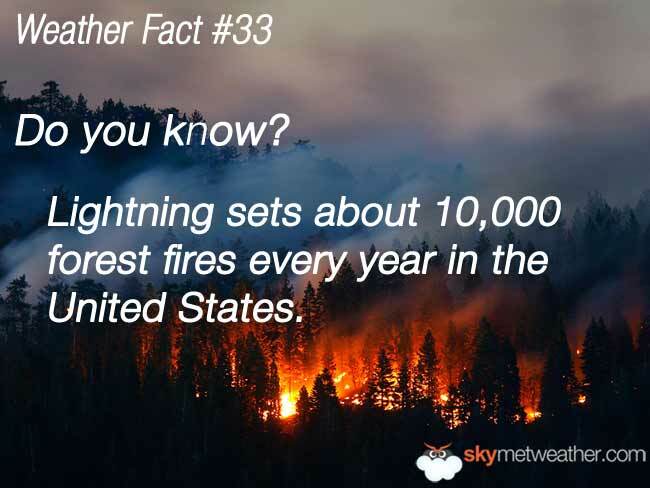 Lightning sets about 10,000 forest fires every year in the United States. 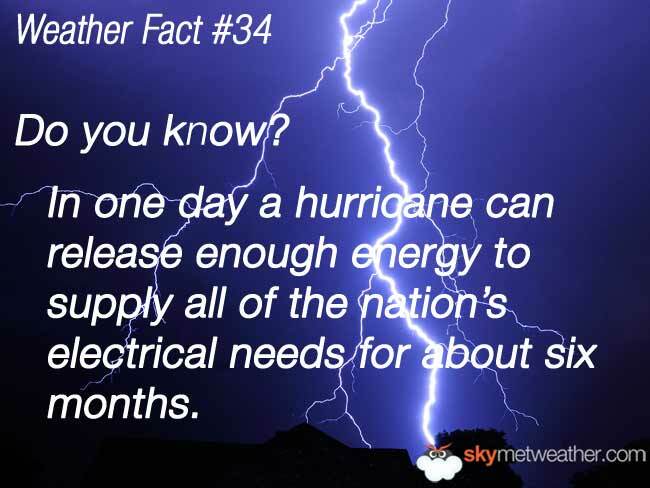 In one day a hurricane can release enough energy to supply all of the nation`s electrical needs for about six months. 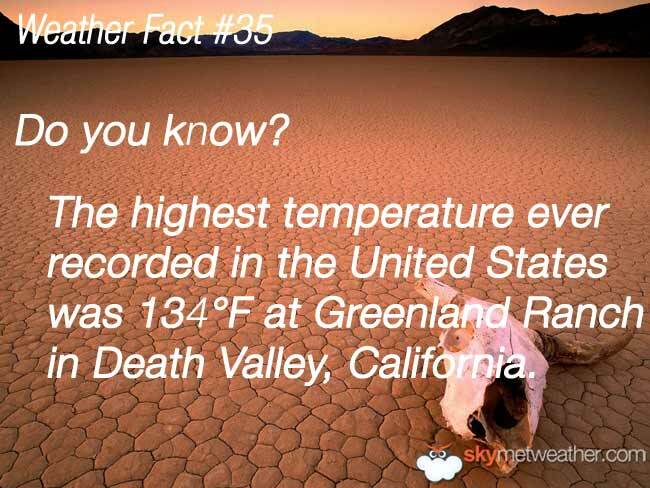 The highest temperature ever recorded in the United States was 134 degrees F at Greenland Ranch in Death Valley, California. 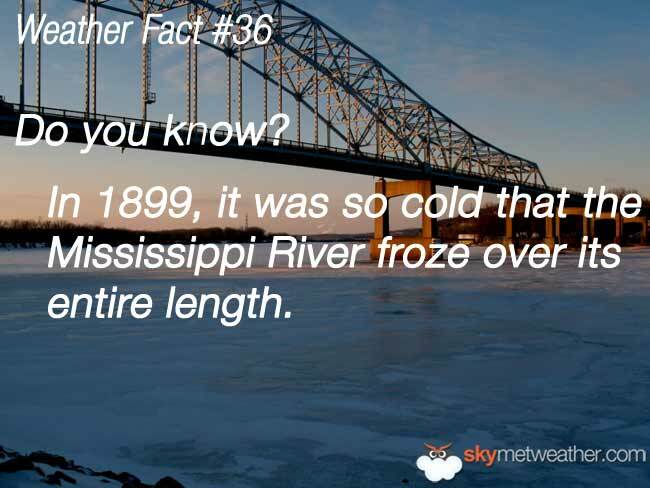 In 1899, it was so cold that the Mississippi River froze over its entire length. 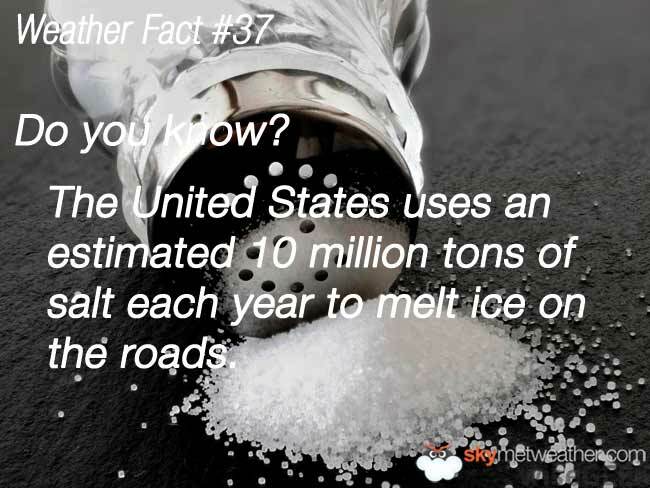 The United States uses an estimated 10 million tons of salt each year to melt ice on the roads. 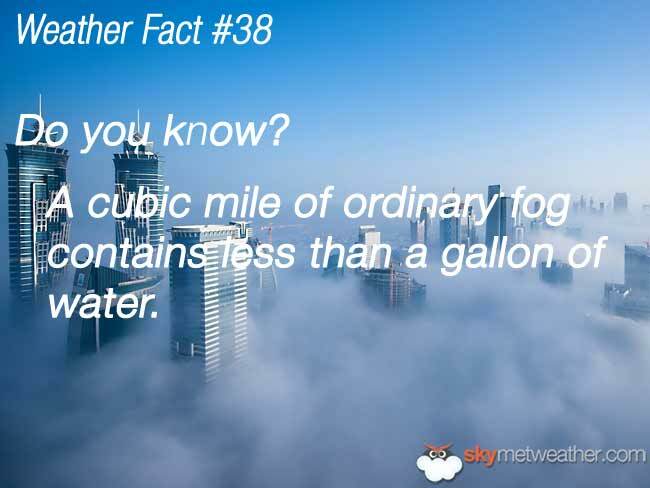 A cubic mile of ordinary fog contains less than a gallon of water. 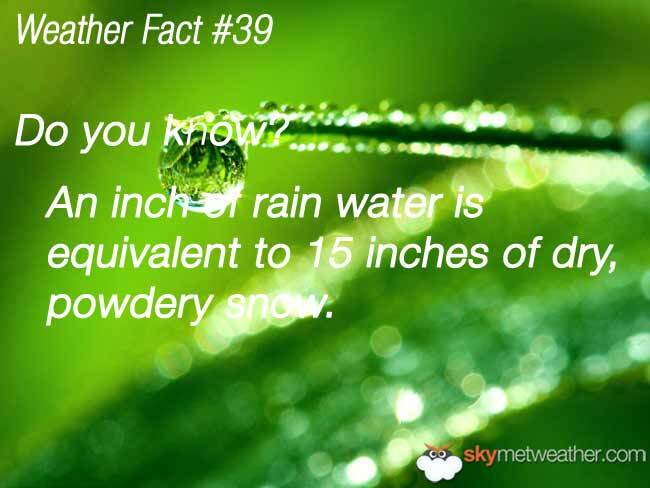 An inch of rain water is equivalent to 15 inches of dry, powdery snow. 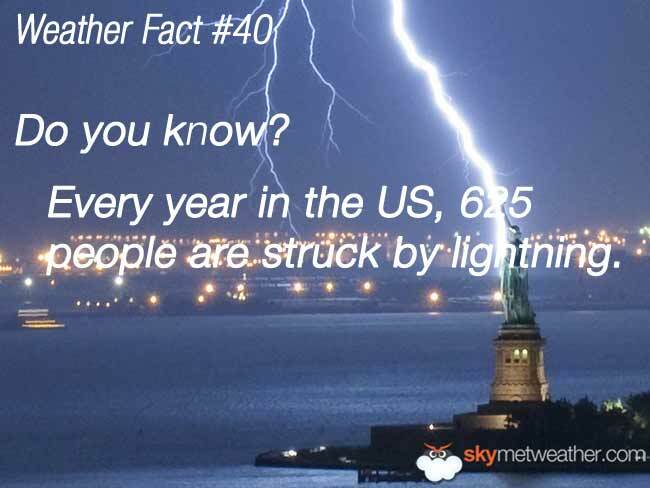 Every year in the US, 625 people are struck by lightning. 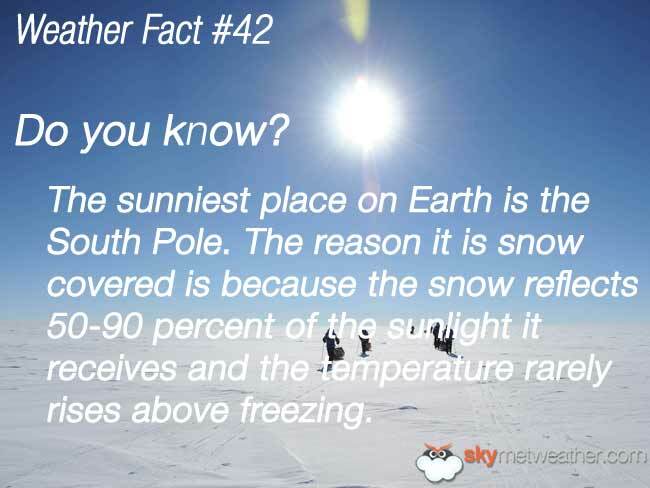 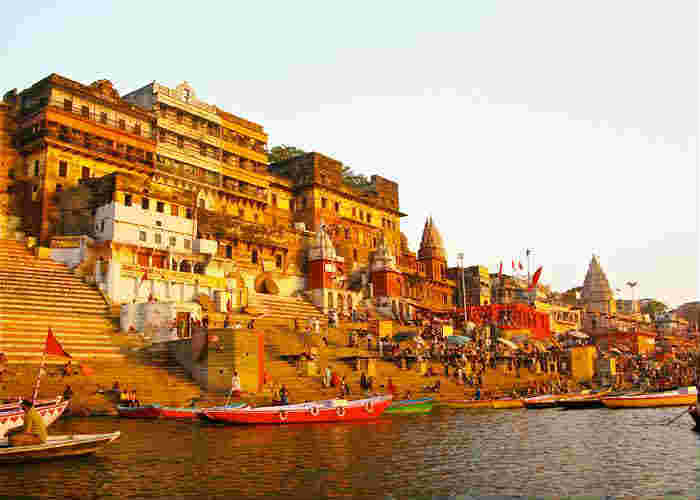 The sunniest place on Earth is the South Pole. 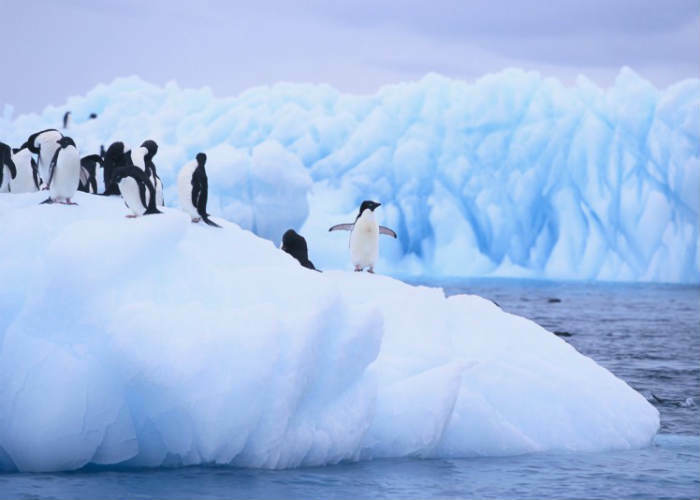 The reason it is snow covered is because the snow reflects 50-90 percent of the sunlight it receives and the temperature rarely rises above freezing. Raindrops do not really look like the traditional tear-shaped pictures. 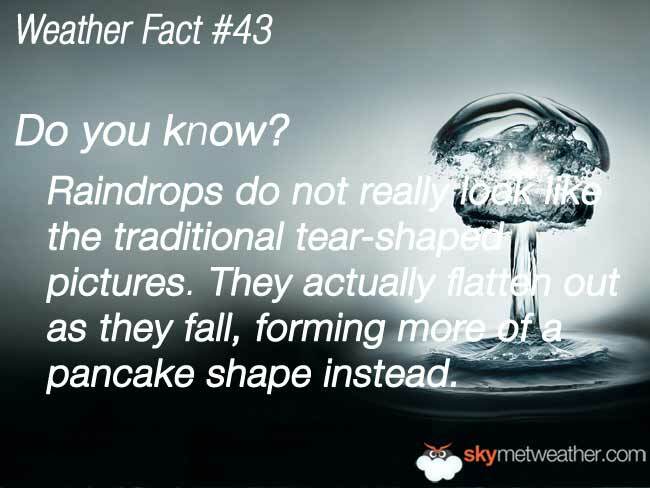 They actually flatten out as they fall, forming more of a pancake shape instead. 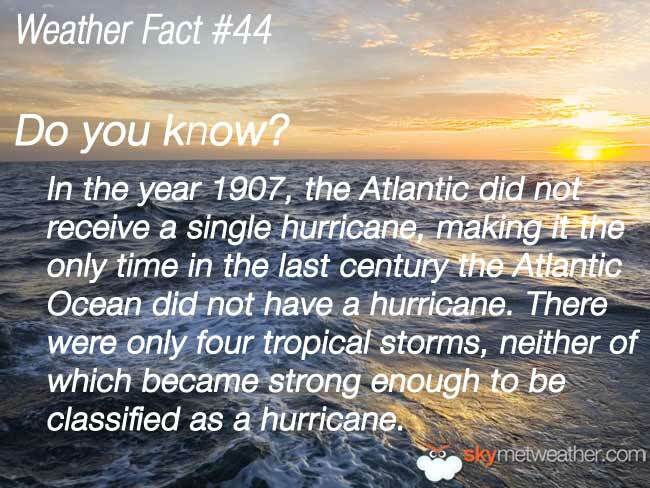 In the year 1907, the Atlantic did not receive a single hurricane, making it the only time in the last century the Atlantic Ocean did not have a hurricane. 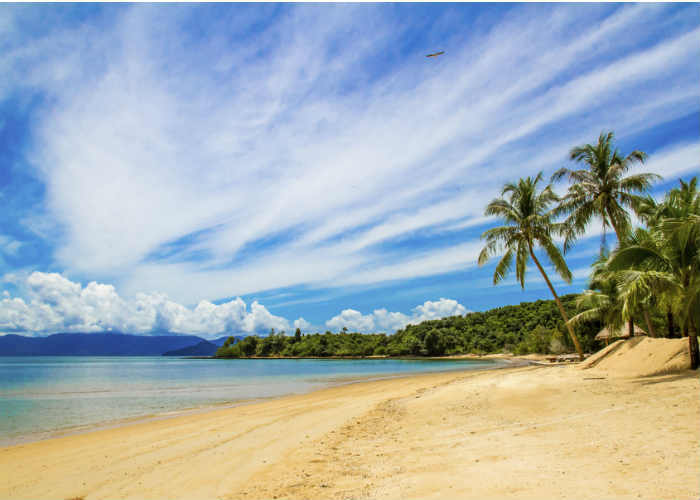 There were only four tropical storms, neither of which became strong enough to be classified as a hurricane. 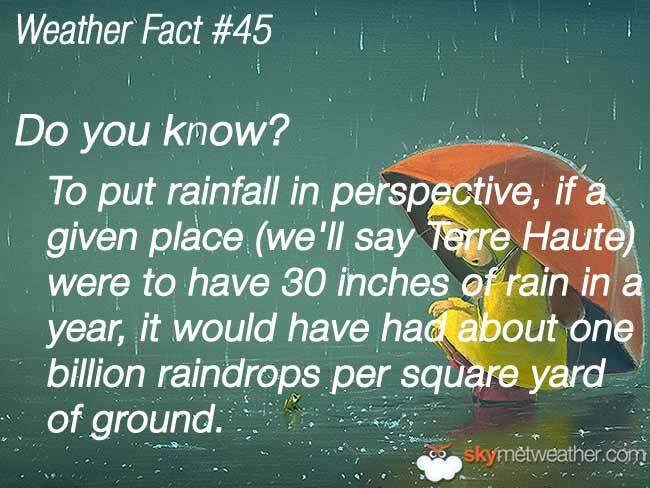 To put rainfall in perspective, if a given place (we`ll say Terre Haute) were to have 30 inches of rain in a year, it would have had about one billion raindrops per square yard of ground. 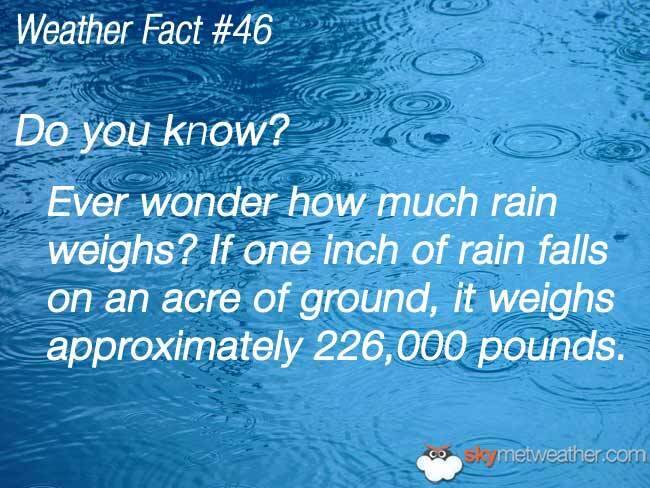 Ever wonder how much rain weighs? 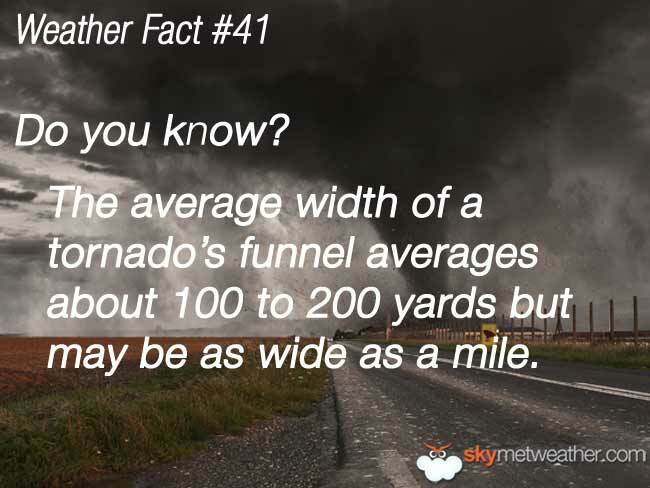 If one inch of rain falls on an acre of ground, it weighs approximately 226,000 pounds. 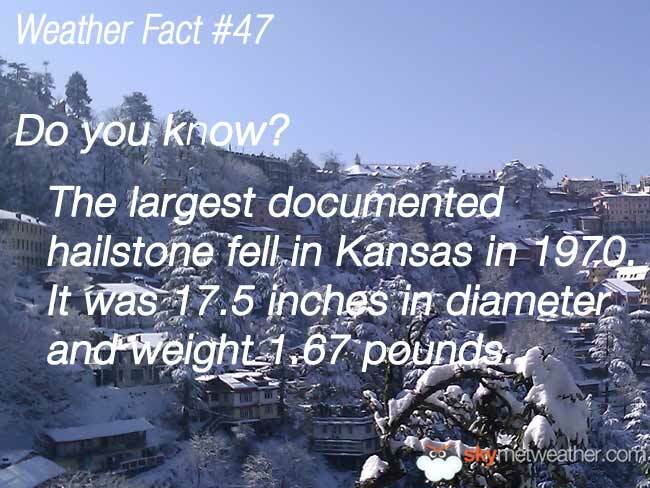 The largest documented hailstone fell in Kansas in 1970. 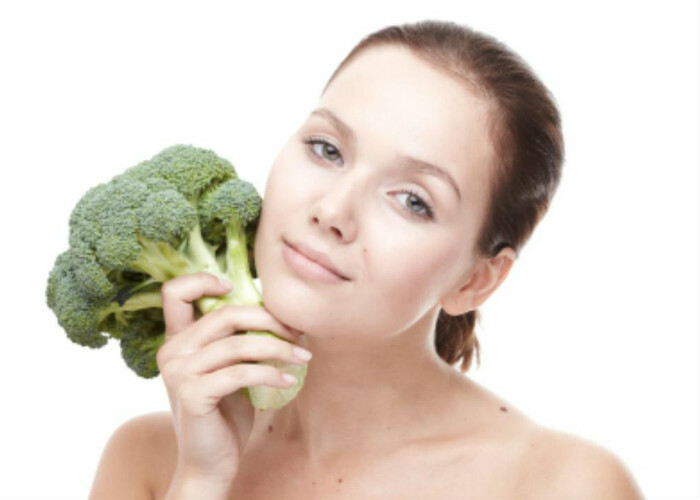 It was 17.5 inches in diameter and weight 1.67 pounds. 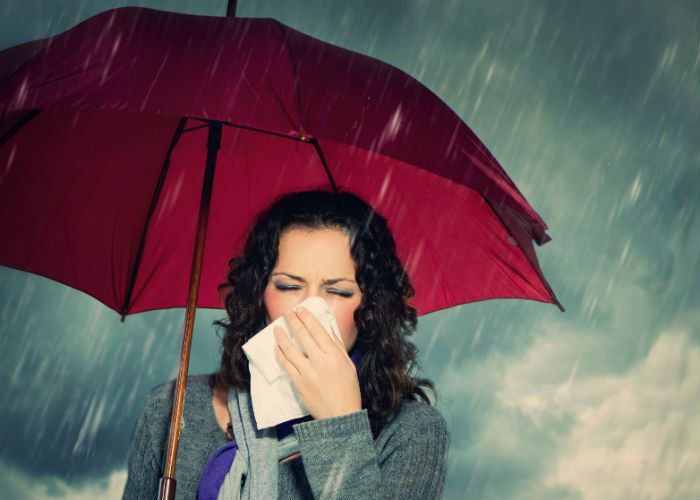 Lightning seems to prefer to strike men over women. 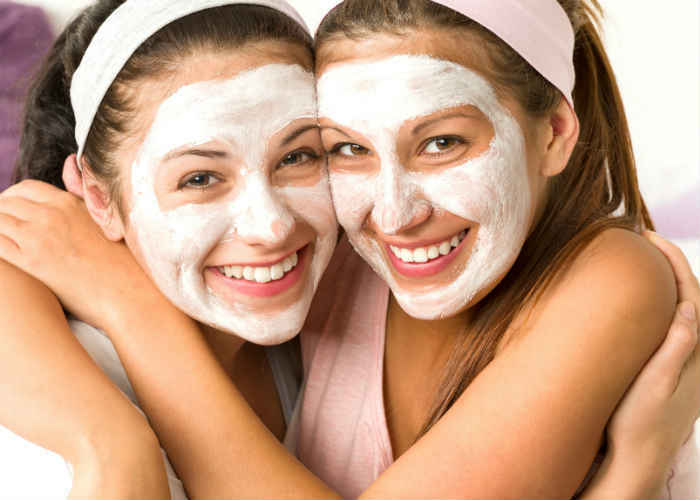 Approximately 85 percent of those struck by lightening are men. 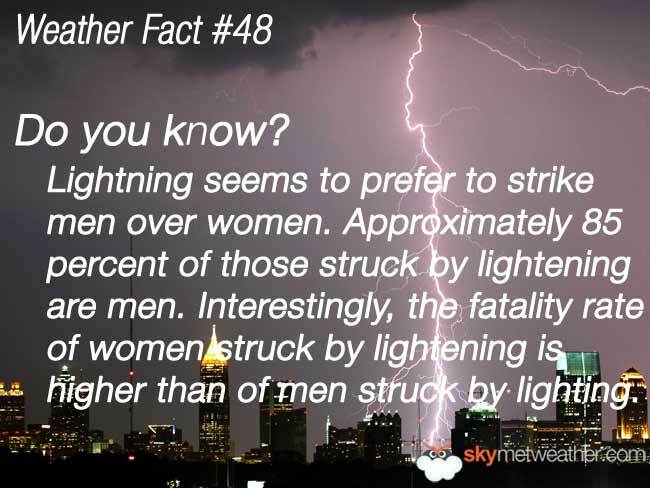 Interestingly, the fatality rate of women struck by lightening is higher than of men struck by lighting. 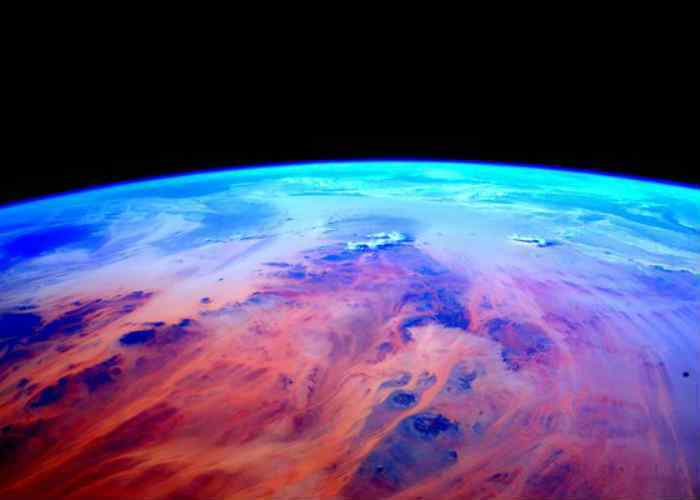 Keraunophobia is the fear of lightening. 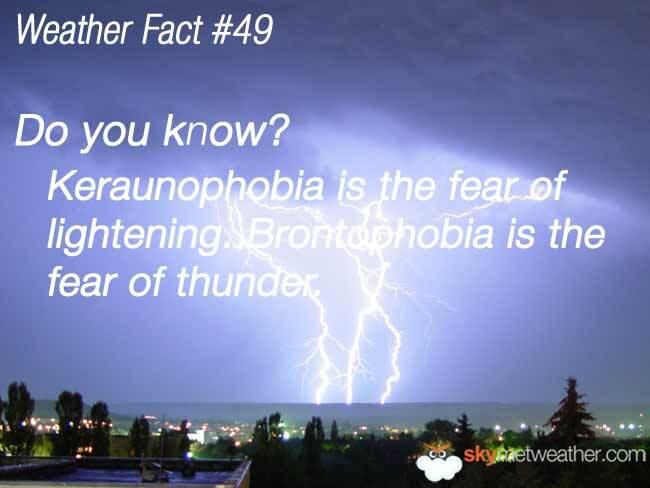 Brontophobia is the fear of thunder. 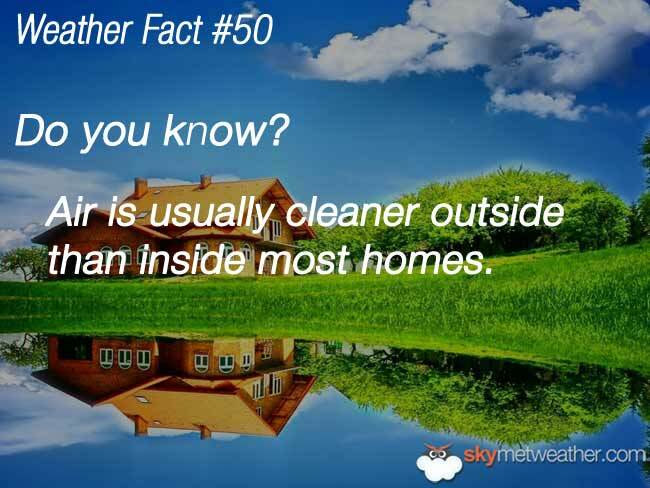 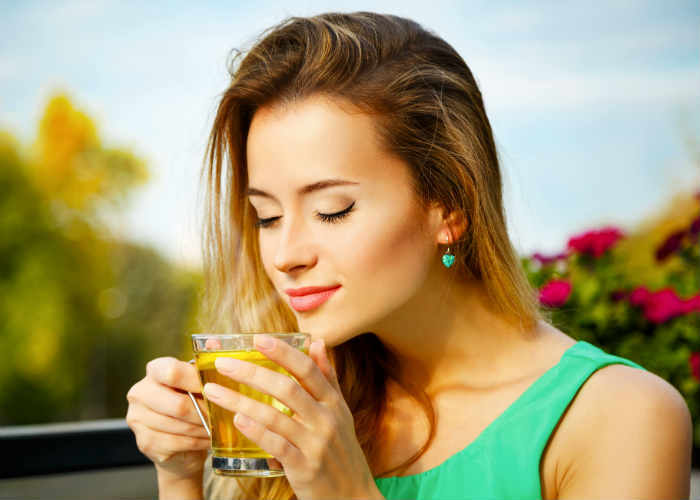 Air is usually cleaner outside than inside most homes. 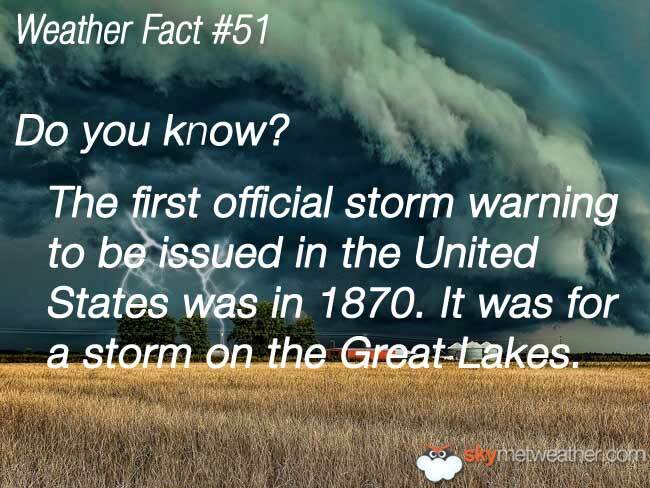 The first official storm warning to be issued in the United States was in 1870. 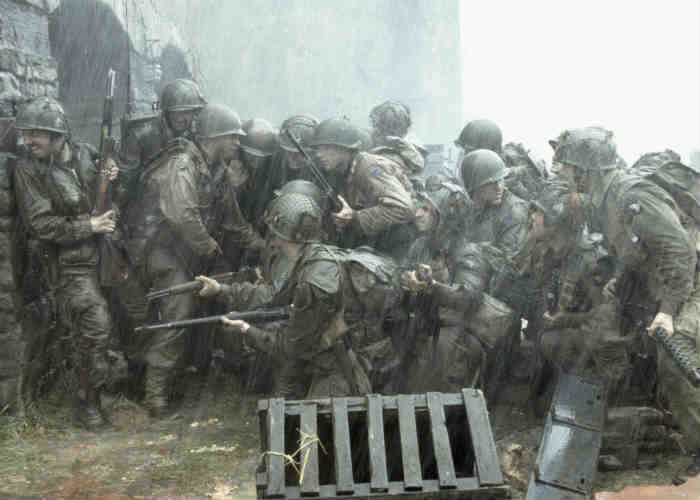 It was for a storm on the Great Lakes.